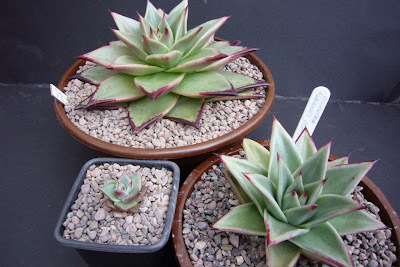 Spiky obsession: Echeveria agavoides ebony: 1, 2, 3. This is the third year I have been growing these plants and strangely I have got three sets of plants with pretty much equal gaps between them. 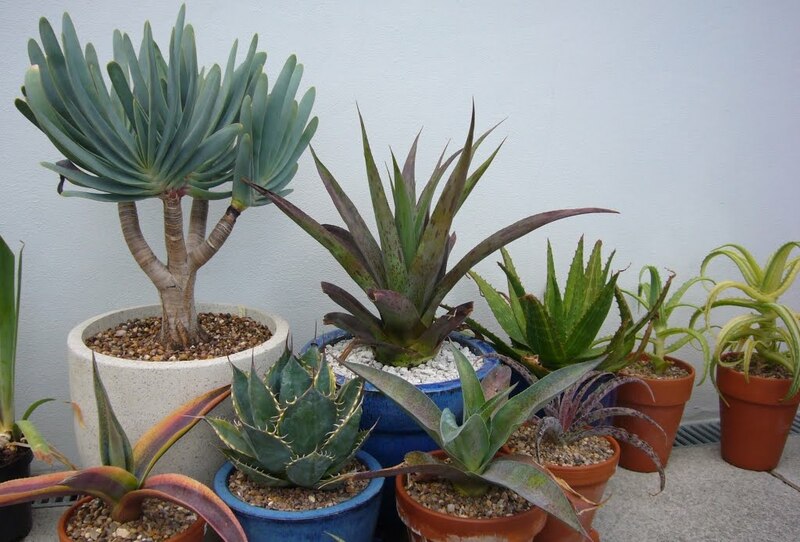 The first was take from leaf propagation in July 2010, the second was also from leaf propagation in April 2011, while the third was from seeds in November 2012. Growth has definitely been slower than I would expect due to the cold summers we have been having, they have also not coloured up anywhere near as much a I would like. The stronger the sunlight the darker the colour. They do however show how the plants develop from year to year. I will be giving them as much sun as possible this year to try and get them as dark as possible. I quite like seeing them all together, it is time lapse photography in one photo. Nice presentation of the three. Time lapse, indeed. Cool temps also increase color. That is interesting, I have noticed it with colour on some echeverias, but not the black edge to this one. Light intensity seemed to be the thing that made the difference.